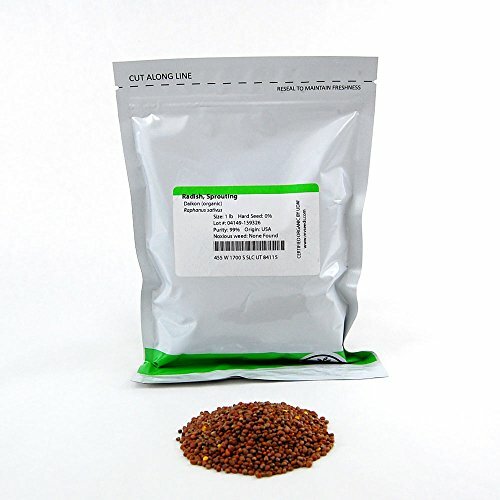 Radish Microgreens Seeds. 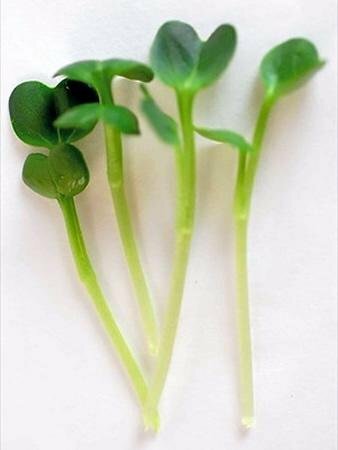 Radish microgreens are substantial and crunchy and taste exactly like radish. Very easy and fast growers. Makes a great addition to any salad, sandwich or garnish. Use sparingly for a radish accent. Notes & Growing Tips: Radish is fast and easy to grow. The microgreen is substantial and very crunchy. Due to its fast growth can be harvested as early as 5 days, assuming you have exposed to light on day 3. 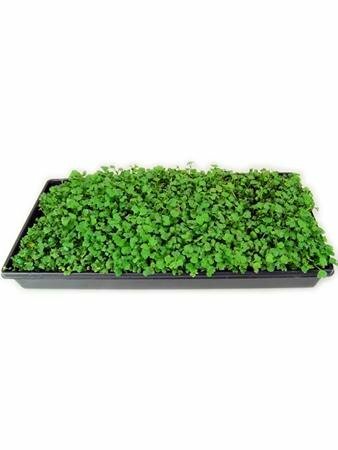 These radish microgreens are at their peak of crunchiness at about day 5 or 6. Once they grow larger they get more leafy and lose their crunch. You can flip the lid a day before exposing to light to strengthen the crop. 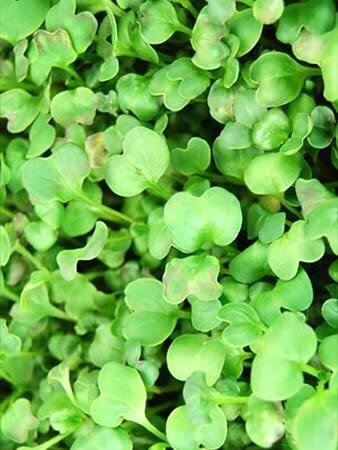 Radish is a green crop with an intense radish flavor great in any microgreen salad or full sized salad. Use instead of sliced radish anywhere you would normally use radish.